Goals: This woman was concerned about the appearance of the top portions of her ears, which stuck out from the side of her head. 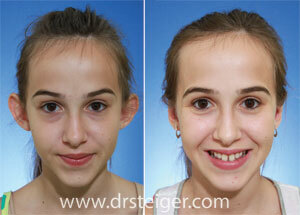 A minimal incision otoplasty was performed to pin back the top portions of her ear. 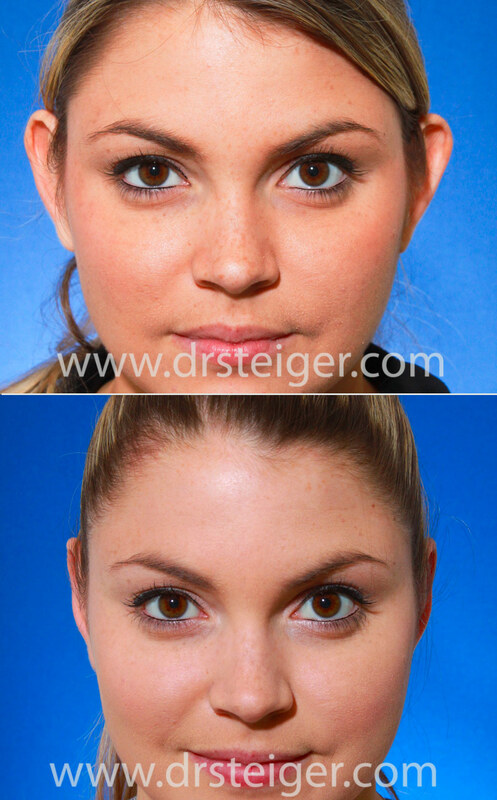 Before and after photos show that the otoplasty procedure succesfully repositioned her ears and brings attention back to her eyes. Goals: This patient was bothered by his protruding all of his life. 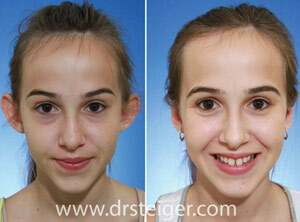 This had been the source of ridicule as a child and he was finally able to repair the ears. 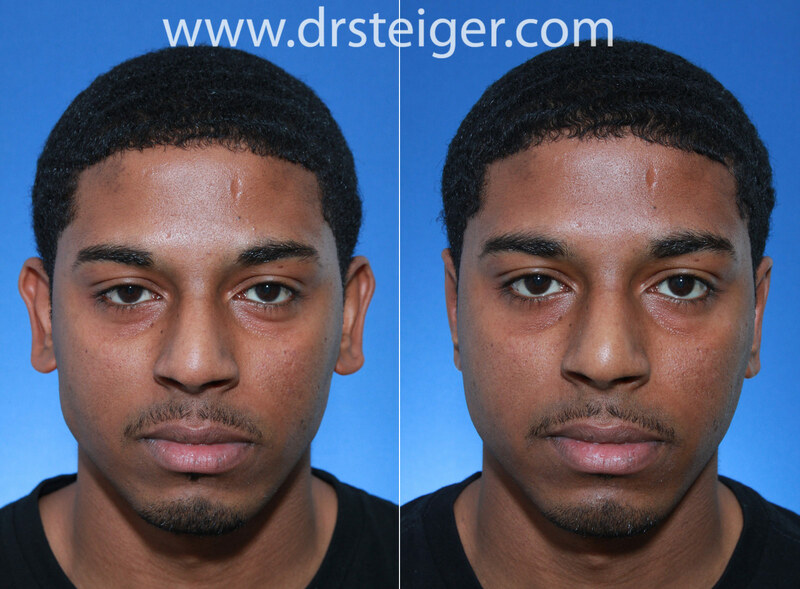 Otoplasty was performed to reshape the top portion of his ears, as well as to tuck in the ear lobe, which stuck out as well. A natural appearing result was achieved and he is seen in these photos before and after otoplasty. 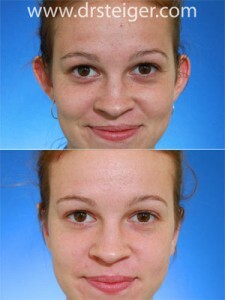 Goals: Otoplasty was performed in this female using cartilage sculpting and cartilage removal techniques in order to achieve the most natural possible appearance. She is seen here 3 months after her surgery. Goals: This young woman had her otoplasty procedure to pin back her ears. 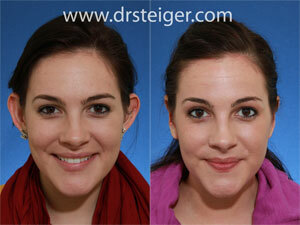 She was bothered by this her entire life and was able to have this procedure before starting graduate school. Watch her otoplasty video journey. 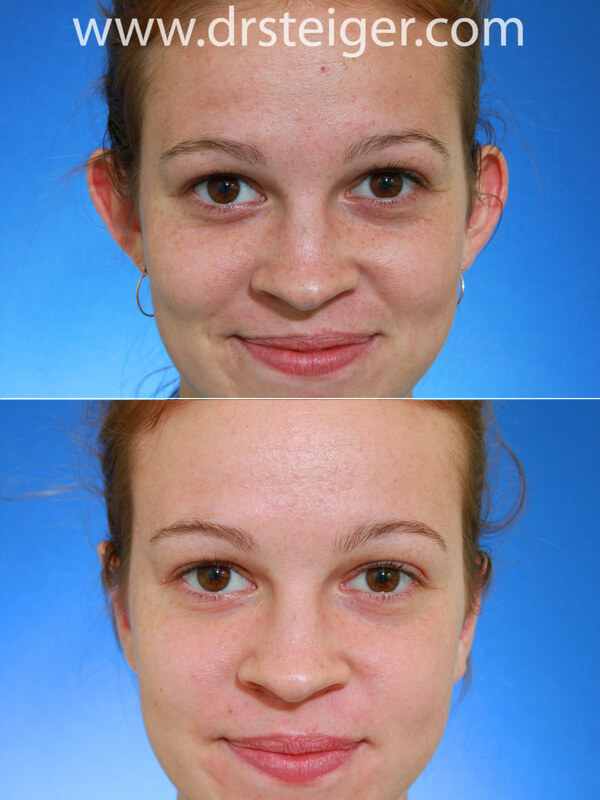 Goals: This woman had otoplasty to improve the appearance of her protruding ears. 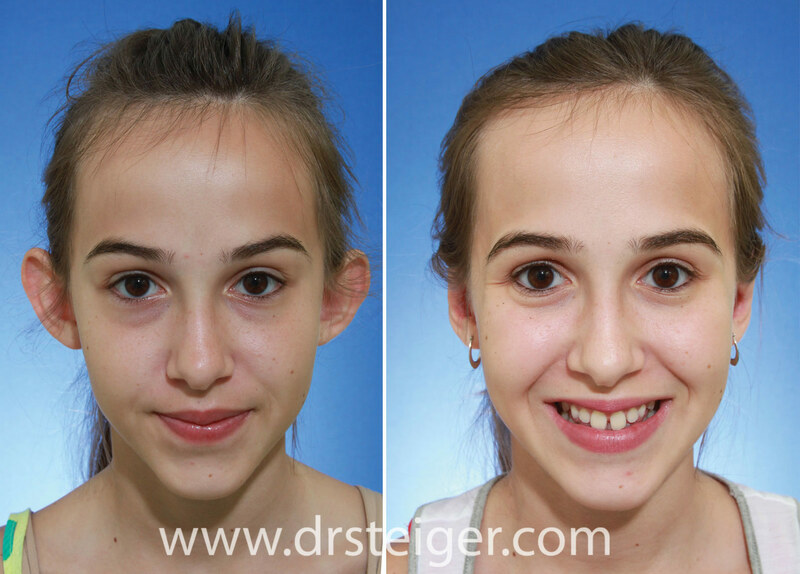 Before and after otoplasty photos show the results of the procedure approximately 7 months after surgery to pin back her ears.